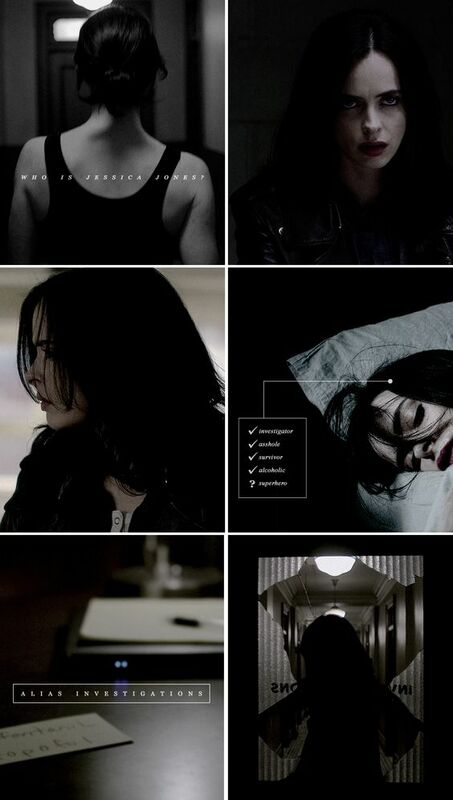 JESSICA JONES - FINALLY A RELATABLE FEMALE SUPERHERO! Think 'female superheroes' and immediately several images come to mind. Bare busts. Skin-clinging Lycra. As well as the sidekick or nemesis to a male superhero. So, whether you’re a comic book fan or not, this classic representation won’t be alien. Even modern cinematic versions of female superheroes have continued to fulfill this sexual stereotyping. 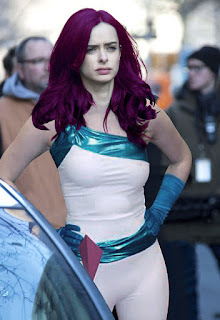 Yet after the over-sensualisation of characters like Catwoman and Electra, comes Netflix’s Jessica Jones. Boasting glowing reviews for the first series, and another on its way, this show is slowly changing the way female superheroes are presented. A recent addition to the Marvel catalogue, the Jessica Jones character was created in 2001; appearing in the comic book, Alias #1. Her characteristics include superhuman strength, resistance to physical injury, and has the ability to fly; although her limits are unknown and is practiced at hand to hand combat. 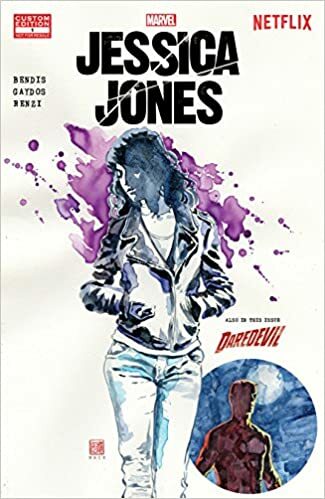 Jones’ classic image fulfils the comic book status-quo, but Netflix (in conjunction with Marvel) sought to revamp its female lead for a modern audience. Netflix premiered the series in November, 2015, picking up the storyline after Jones has put her superhero career to bed. Still the owner of Alias Investigations (her detective agency), she specializes in hunting down cheating partners and people with powers similar to hers in New York City. The notable difference to Jones’s portrait is her appearance. Jessica’s attire consists of jeans, a tank top, hoodie, or black leather jacket; a visual tie to the series’ noir genre and a cosmetic defiance of her past ventures in spandex. Her demeanour mirrors her garb. An introvert, her manner is curt and abrasive. She speaks her mind without fear of retribution. The PI lifestyle and dependency on bourbon means she’s often alone, which doesn’t open her to social interaction. Her personal relationships are sparse but intense. Her closest ties include Patsy Walker: adoptive sister and best friend; and Luke Cage: a man with superhuman strength with whom she has an on-off relationship with. Dedication to Patty and Luke dictate her actions on several occasions and she’s unstoppable when trying to save those closest to her. However it is Jessica’s personal issues that push her into both an adult and relatable Marvel character. Post-traumatic stress, alcoholism, abandonment issues, and more, give this character a troubling but rich complexity. As guarded as she is, her character has fresh wounds from her arch rival and former-lover, Kilgrave. Memories of things she did while under his mind control haunt her, and the struggle she faces during the consequences are vividly portrayed. Show writer Melissa Rosenburg claimed the character’s complexity and evolution was integral to the female representation of Jessica Jones. Even if Rosenburg didn’t set out to make an” issue series”, she’s set audiences into a frenzy. Jessica Jones polls number one out of Netflix’s top 10 original series. You can wager with this bonus code that Netflix’s Jessica Jones has set the bar for female superheroes to come.